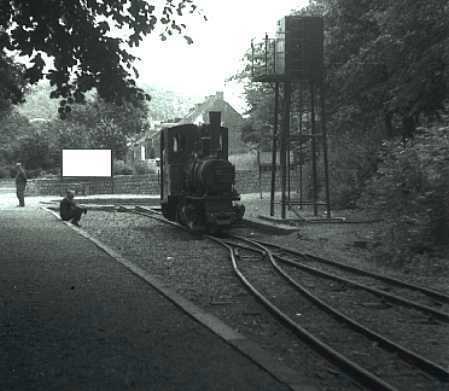 60cm at Rebecq built on former SNCV metre gauge trackbed. Tree lined route, about 40km from Brussels. A gold Star if you find the loco shed! "Le Petit Pont" Café about 100 metres away, on the left going into the town. 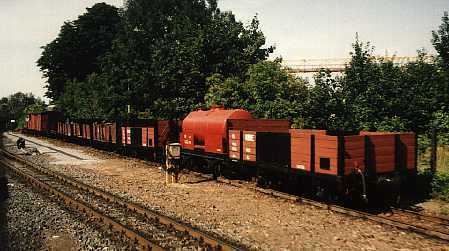 Hi-tech transfer sidings on 80cm to metre gauge. 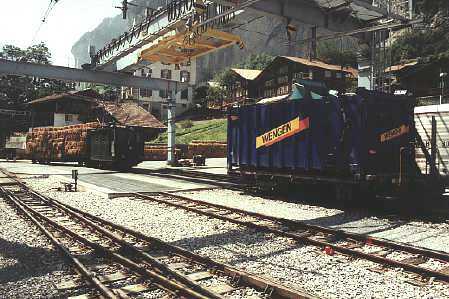 This is a refuse container for Wengen. Note bogie wagon of hay in the background.